In our 24/7 driven world, people expect information and help to be available on demand, especially with brand-focused companies that sell to consumers. Chatbots answer the call for this demand. Chatbots have become very useful in many ways. They help customers find information, research brands, products and services, and assist with making purchases. The cherry on top is this fact – chatbots improve conversion rates. How do chatbots improve conversion rates? A typical website visitor comes to a website or landing page looking for something that solves a problem or meets a need. They either use the search bar to find what they are looking for, or they scroll through pages and pages looking for it. A chatbot eliminates these steps and provides an instant answer. Chatbots save time which means the conversion happens more quickly. There is another reason why chatbots improve conversion rates. Chatbots are personal. They greet a visitor personally just like a salesperson would greet a customer coming into a store. When customers feel welcomed, they are more likely to buy. In general, the internet is very impersonal. People have pseudo-names and hide behind hashtags. This is why consumers love chatbots. Approximately half of all consumers would rather interact with a brand via messaging instead of email or phone calls. A survey that was run by chatbot showed 3X more conversions than over email. When a chatbot is effective, the conversion rate can jump significantly, even if you don’t have the most optimized website. A website or landing page that has not been optimized may get a conversion rate of 2%, which is an average result. With a really good chatbot, you can have a less than optimized website and still get a good conversion rate. How can this be true? It is because customers get what they need when they need it. When this happens, the conversion rate is automatically improved. In some cases, chatbots increase the quality of the lead or sale because more obstacles to the sale have been answered and eliminated. A chatbot must not only be easy to use but also intuitive. You don’t need to reinvent the wheel when it comes to creating a chatbot. Chatbot interfaces are universal like instant messaging and live chat that have been around for years. You can also connect your chatbot to other systems interfaces such as Facebook Messenger. When you set up a chatbot, offer button responses so the visitor does not have to type an answer. Building your own chatbot is easy to do, and you can learn more about it here. The best place for any marketer is the space with the most users. When you’re trying to reach more people, be where the people are. This should be your website first, especially if you are driving paid traffic to it. This will increase your cost per conversion. What is unique about chatbots is they can be placed on many platforms and networks. The whole idea of conversion rate optimization is to reduce resistance to your brand, and achieving this goal may require a chatbot interaction on social platforms like Facebook, Twitter, Kik, Slack. There are many companies who are implementing this strategy and getting higher conversion rates. Some examples of companies with Facebook Messenger chatbots are Sephora, Dominos Pizza and 1-800-Flowers. These chatbots are answering questions, helping customers purchase or make a purchasing decision, booking a reservation, etc. Here are some case studies that show how companies are using chatbots to drive revenue and increase customer satisfaction. When you can resolve a customer service question or issue in an instant, you boost your conversion rate and your brand. Users don’t have to search through a massive list of FAQ’s or use your website search function to find answers to their questions or problems. The user can ask the chatbot a question and the chatbot responds right away. Fast service means higher conversions because it saves the user time and speeds up the purchasing decision or process. If the user stumps the chatbot or the question is to detailed to answer the bot can switch over to a live chat seamlessly. A chatbot greeting is like a store clerk or salesperson welcoming a customer into their store. Salespeople can be pushy, but a chatbot never is. Chatbots let you know they are available to help without being intrusive. When a customer is presented with an option to chat, they are 6 times more likely to convert. One thing to consider is the timing of the popup chat window. Most websites keep their chatbot icon in the lower right corner of the webpage, and most visitors know that’s where to find the chat function. Make sure the popup window is easy to close, and remember to keep the chatbot icon visible. Another tip is to personalize your chatbot. When you build a chatbot, you can customize the greeting based on the referring website or the PPC ad that was clicked on. You can really get creative on the initial greeting, such as “Welcome traveler” if you are a travel site, for example. Your message can be about the latest sale, what’s happening, or it can be a replica of the PPC ad. You also want to give your chatbot a name. Even though it’s a robot, it needs a name because people relate better when they know the other person’s name. It is important to let the user know you are a chatbot and not a live chat. Chatbots can help you figure out why a website or landing page is not converting. When visitors leave a shopping cart, a chatbot popup window can appear with a survey or polling question asking why they are leaving. For example, the chatbot will show several options, such as “not interested,” “price too high,” “looking at other options,” etc. This information is invaluable in your marketing efforts. You can test user opinions and assumptions by setting up a one-question survey in a chat window, and you can ask the user to rate their level of satisfaction with the site or the chat process. The chatbot can also save the sale by finding out the issue and recommending another product or service. Chatbots can assist with remarketing campaigns. When a user adds an item to a shopping cart and leaves the site, remarketing campaigns remind them by showing that specific item at the bottom or side of a webpage. A chatbot can pop up on a social network and show similar items that others have purchased. A good example of this is eBay’s Facebook Messenger Shopbot, which helps people find what they are looking for, remembers what the user purchased, and learns from past conversations. Any sales process requires information. Both business and consumer sales involve real people who need to make a purchase. Chatbots can assist in the sales process. Chatbots can ask qualifying questions and based on the answers received, the chatbot can provide relevant information. This speeds up the time it takes to complete a sale, which also increases the conversion rate. If a prospective customer asks a complicated question, the chatbot can refer the inquiry to a live salesperson or a live chat agent. 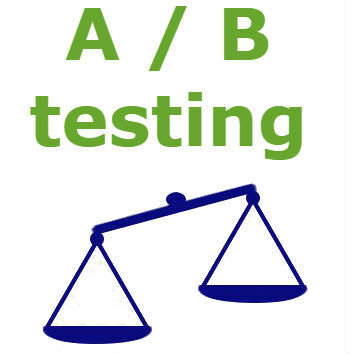 Conversion rate optimization involves a lot of A/B testing. To determine the best elements on a website, you experiment with various CTA’s, colors, text, images, etc. Chatbots also need to be tested to understand what words and phrases generate the most responses in a conversation. With a chatbot, you want to experiment with different greetings, responses and buttons. Sometimes changing one word in a chatbot conversation can increase your conversion rate. Bottom line, chatbots have to work properly in order to boost conversion rates. If a chatbot does not perform well, it will not convert well. When chatbots are done correctly, your customers will appreciate the timely responses and they will remain loyal to your brand. Your reward is a higher conversion rate. To learn even more about chatbots, please visit The Complete Guide to Chatbots page to read or download the ebook. Ready to build a chatbot and don’t know where to start? Our chatbot consulting and development services can help. Click here for more info.